I am a firm believer in investing in items you wear the most. $1200 purse? Worth it if you carry it every day. $200 jeans? If you wear them every weekend, sure. But for some reason, I can't bring myself to invest in workout gear. Lululemon Athletica seems to be very popular in my exercise classes; I checked out the store in Union Square and got the whole spiel from the perky sales associate, and while, yes, their clothes are stylish and flattering and obviously well made, I just couldn't spend $96 on pants and $54 on a tank top. That I work out in. This is a sentiment Old Navy seems to be addressing in ads for their new line of workout clothes; they were enough to draw me into the store, and I'll admit I was rather impressed with what I found there. The powerhouse of their new athletic line is the basic yoga pant; the design, with its paneled waistband and back-leg seams, is very similar to Lululemon's best-selling Groove pant. 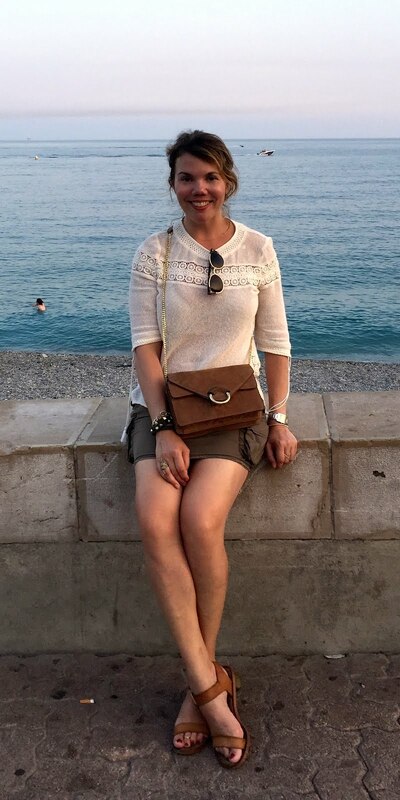 I can attest that they're comfortable and flattering; they stay put whilst bending and stretching; and so far, they aren't fading in color (I wash my darks on the delicate cycle, with cold water). There's also this slightly more colorful fold-over yoga pant, with a striped waistband. I prefer to wear old T-shirts when I work out (my upper arms are still a work in progress), but if you are a tank top gal, Old Navy has those too. The cross-front tank is very Lululemon-esque; there's also this sporty-looking active tank and even a moisture-wicking tank. 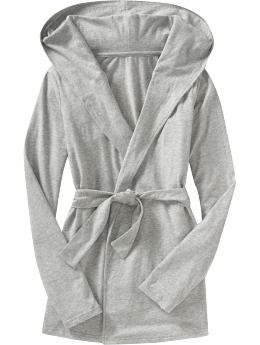 One of my favorite pieces of the collection, however, is this bathrobe-meets-hoodie yoga wrap. At $24.50, it's the most expensive piece featured here (that's right, the most expensive is $24.50), but it will make a chic cover-up for going to and from the gym...and maybe on the weekends...and maybe you can get away with wearing it to work too. I'm almost positive that this, too, is a Lululemon knockoff, although I can't find the original on their newly-launched online shop. While I do aspire to one day own a pair of Lululemon Athletica pants (and, yes, maybe the wrap hoodie too), the reality is that, for the (recessionary) time being, I'll have to stick with Old Navy. After all, it's the workout that counts, not what you wear to it.